Every business owner knows the benefits of ranking at the top of Google Maps search results are enormous. If you can rank in the Google Maps top-3 local results, called a “3-pack”, you could potentially get those clicks from users searching for your business category. Of course, proximity plays a key role in appearing in the 3-pack. But what if there are multiple businesses in the same category and location? Who gets the best placement? Check out these important Google Maps SEO strategies and make it to the top of Google Maps search results. The first step in ranking higher on Google Maps is to add and verify your business on Google My Business (GMB). Without a GMB listing, your business does not exist to Google. Once you’re there, go to the Info section and fill out every field. Include your NAP (business name, address, and phone number), category, opening hours, website address, services, description, and add photos. If you don’t have a website, GMB can do it for you. Be warned though: having a GMB generated website isn’t going to look good with your clients or Google; something to keep in mind if you’re trying to rank higher on Google Maps. It is so much better to create a personalized website of your own. In the categories section, select your primary business category, which must be your main targeted keyword. Select a few other additional categories as well. This tells Google that your services are relevant to multiple keywords (business categories) when people search them. There are hundreds of categories to choose from, so do your research first to determine the most relevant. 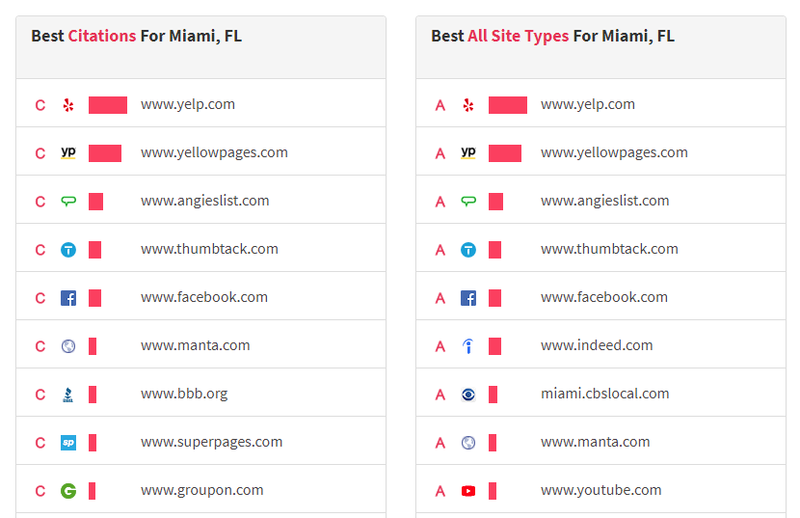 Find a full list of categories like this one, and select those that most apply to your business. Another way to figure out the ideal categories is to look at the currently top-ranked businesses in Google Maps. Search your targeted keyword phrase in Google, such as “financial planner Miami FL”, check out the local 3-pack, and identify the categories they’re using. 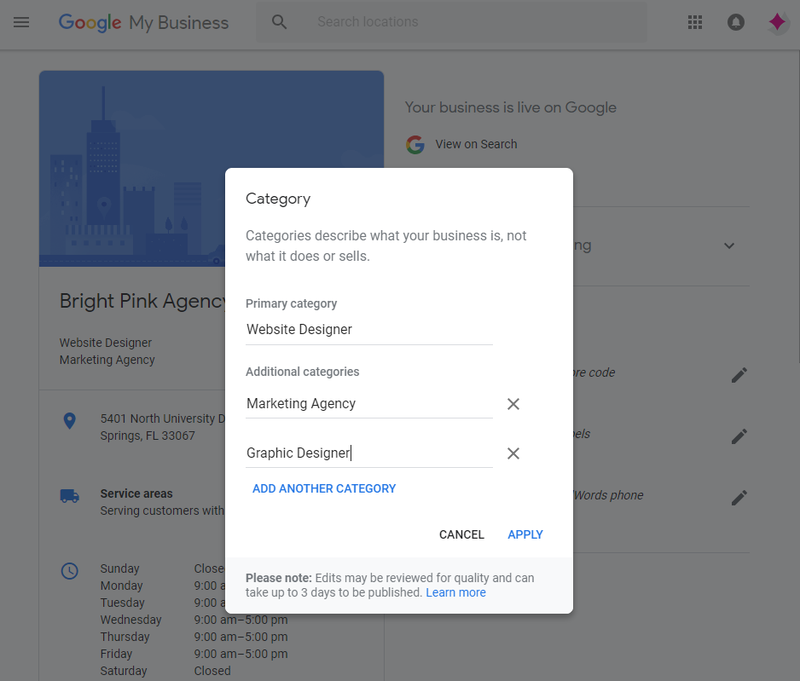 Another Google Maps SEO tip is to include your business category in the title of your GMB page. For example, if you are a financial planner, include the phrase “Financial Planner” in your GMB listing title. Don’t add more than one keyword in your title, as it would come across as spam to users and to Google. As far as photos go – the more, the merrier. Use professional-looking photos if you can, and make sure the content is relevant. To give users more orientation, add 360-degree photos of your premises, both inside and outside. Make photos more powerful by geotagging them. 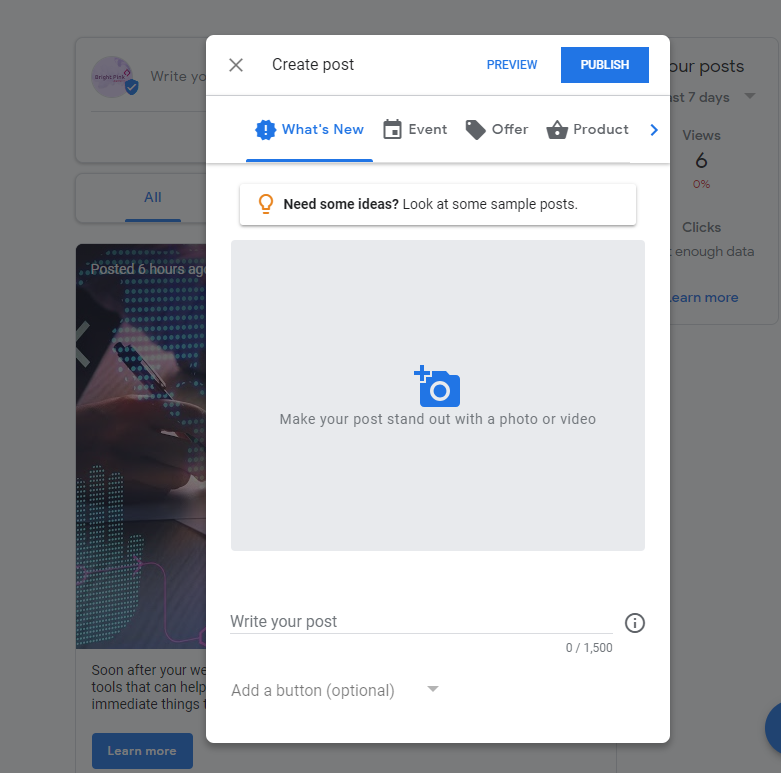 This feature attaches latitude and longitude coordinates to a JPG photo, which improves the search engine ranking for location-specific websites and businesses. Try a geotagging tool such as geoimgr. Reviews, especially those you get on GMB, will help you boost your Google Maps SEO. They build “social proof” and can show that your business is trustworthy in Google’s eyes. The most appealing businesses are always those with multiple good reviews. But the $100,000 question is – how do you get reviews without bothering clients too much? 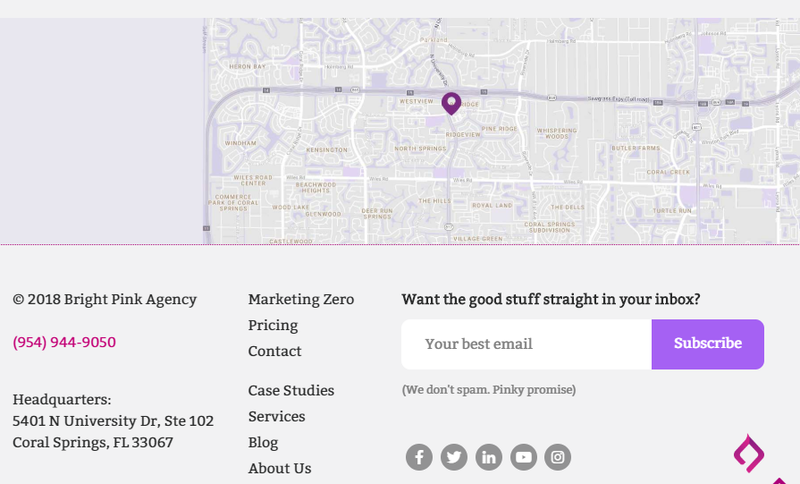 You can do that by sharing your Google Maps review link on your business cards, invoices, and email signature. Or you could use an easy-to-use review request app, such as Bright Reviews. It makes it a breeze for you to send non-invasive review requests and, more importantly, easy for your customers to find where to leave reviews. Obviously, reviews are great – but don’t get a too many at once, especially if your maps listing is not older than six months. This can look suspicious and Google could penalize your business. Check out how to request more authentic reviews. Google Posts are connected to your GMB page and show up directly in local search results. They are like social media posts with an image or video, caption, and an optional URL. Google Posts provide a great way to reach your potential customers to let them know that you’re local and have the expertise to fix their problem. When you post, keep the content relevant and engaging with videos and images, and link to your site to drive more traffic. Citations are mentions of your business NAP (name, address, phone number) across the web. Businesses should have citations on multiple online directories, such as GMB, Facebook, Yelp, and Yellow Pages, and also on local directories. Many people search for businesses on directories and seeing your listing in various places may earn their trust. Google also sees these citations as relevant trust signals that help improve your Google Maps ranking. To find the best citations websites for your business, use the citation finder by whitespark.ca. It helps you find directories by location (country and city) based on your business category. A great example of a local citation would be the website of your local chamber of commerce. Remember, the more relevant the directory source is for your specific business, the better. And the more authoritative the directory is, the more power you’ll get from the citation. That said, citations work best in your favor if your NAP format is consistent (same spelling and abbreviations) across each directory. Google checks for your listing on all of these platforms, and the more consistent your NAP is, the more confident Google will be in boosting your business’s ranking. To help you manage your citations, use a citation audit tool like MOZ Local. Simply type your business name and analyze your citations. You’ll get a score and see where your NAP is missing, where it’s inconsistent, and more. Embedding a Google map on your website lets Google know that you have a local presence. In addition to that, it helps potential customers stay engaged and learn where to find your business. Any effort to make it easier for customers to get to you is worth the time. Of course, your business NAP should appear on your website. But you want to wrap the address in what’s called Schema language – a structural protocol adopted by Google, Yahoo, & Bing that makes it easier to determine certain datasets on webpages. 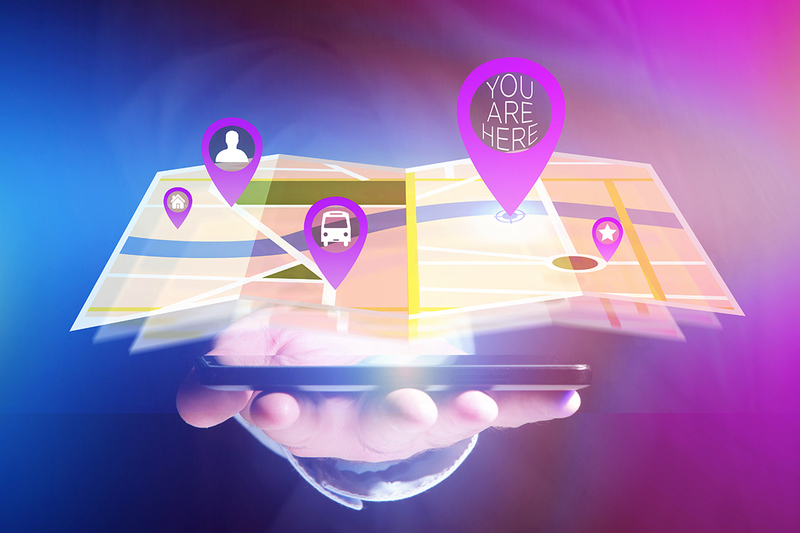 By wrapping your NAP in Schema, you’ll be sending a higher quality signal to Google and other search engines about the relevance and authority of your business location. First of all, you must prioritize mobile searches as most Google queries occur on mobile devices now. To accommodate mobile searches, your website must adhere to responsive design and be mobile optimized. Website speed is also a big factor when it comes to Google Maps SEO as well as user satisfaction. Aim for a load time of under 3 seconds for the best results. Use Google’s PageSpeed Insights tool to analyze your site speed and get recommendations on what can be improved. In addition, the content on the landing page attached to your Google Maps listing is recommended to have at least 1,000 words and include geotagged images. It should also have your keywords and semantically related keywords placed throughout the page. Following these Google Maps SEO best practices, should help you climb your way up to the top local search results. But remember, you won’t see your rankings skyrocket overnight. Ranking higher on Google Maps takes some work and a bit of patience, especially if you have a new website. Follow these steps, give it some time, and you’ll be on the right track to succeed.